Jimmy Barnes Notches Up Another #1 – as an Author! After a record breaking fifteen #1 albums, Jimmy Barnes can now also say he’s a chart topping author. 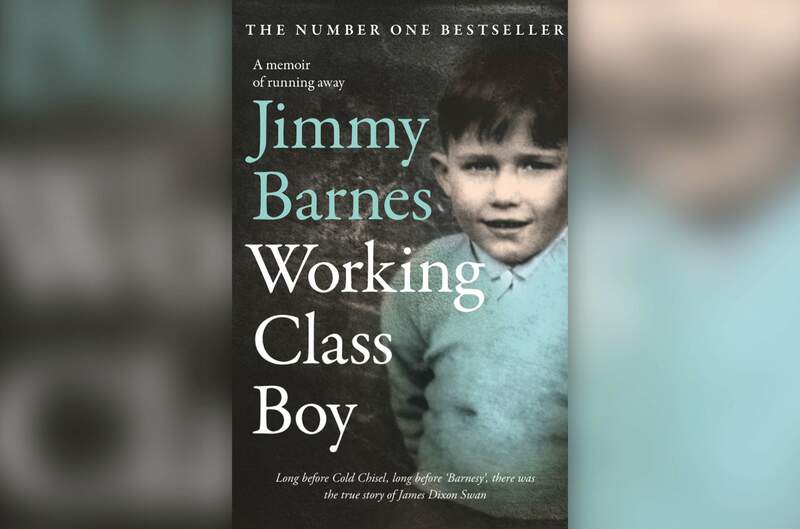 His acclaimed childhood memoir “Working Class Boy” was officially Australia’s top selling book last week according to Bookscan. In fact, its debut was the biggest for this sort of title in over five years. In New Zealand, the autobiography was the #1 international non-fiction release. Jimmy’s special live show based on the book is also striking a strong chord on both sides of the Tasman. Working Class Boy: An Evening of Stories & Songs will see Jimmy bringing his autobiography to life on theatre stages across Australasia through a combination of spoken word performance and some music that relates to his life story. The Canberra show of this unique tour is now totally sold out with a second and final date at the Canberra Theatre Centre being added on Tuesday, 6 December. Two dates have also been added in Tasmania with shows at Wrest Point Entertainment Centre on Friday, 3 February and the Country Club Showroom in Launceston on Saturday, 4 February. Tickets are on sale now for Canberra and from 10.00am on Friday, 6 October for the Tasmanian shows. Tickets for all remaining dates are selling fast and fans are reminded to follow the ticket links here so as to avoid ticket reselling sites which typically sell tickets at much higher prices. In the meantime, Jimmy has leant his voice to two worthy causes – the Luke Batty Foundation who work to raise awareness about all forms of domestic violence and a new, national television campaign for The Song Room, a national not for profit organisation, aimed at driving funds to buy musical instruments for underprivileged kids. Three out of four children in Australia do not have access to specialist music education at school and The Song Room provides face to face, long-term music and arts-based programs for children in disadvantaged and high need communities. The Song Room also provides innovative, curriculum-aligned online arts education to over 75% of Australian schools through the free ARTS:LIVE platform.